Getting to the hospital – bags were packed and the route was planned. Sleep deprivation – I’ve worked through projects that kept me up for weeks on end, catching power naps here and there. Easy peasy. 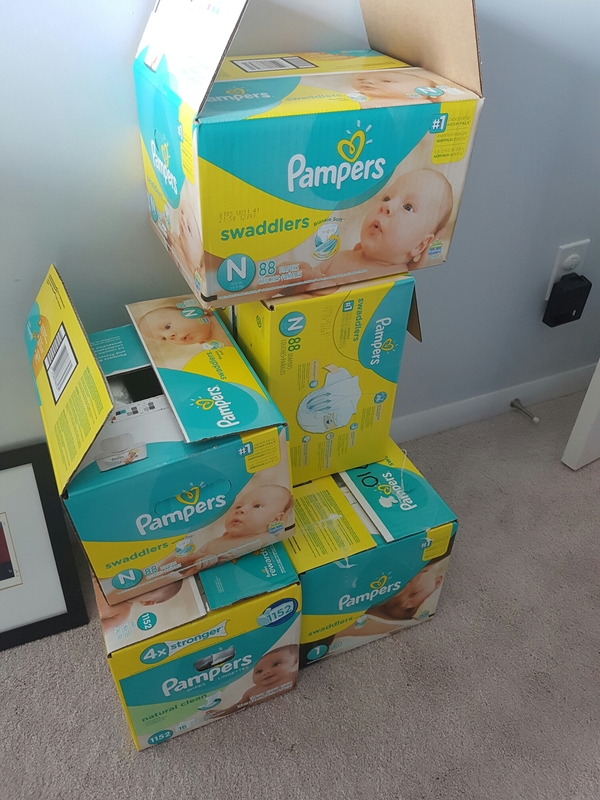 Diaper changes – my mum ran a daycare when I was growing up. I’ve seen this done a million times before! Turns out I drastically overestimated my comfort level on 2 of these 3. When K called to let me know it was time to get the party started everything went out the window. The most important thing in my mind was stopping at the beer store on the way home, I remembered the camera, but not the battery, and if it weren’t for my parents driving us, we never would have gotten to the hospital. I have since discovered I really enjoy sleeping and loathe mornings. Fortunately I still had the diaper changes down. Apart from hosing the nurse down on the first change things have been fairly straightforward. Stock up! Better to have too many! Then Baby T got wise. He started a campaign of what we call ‘taking out the first responders’. Just when you think it is safe to get in there for damage control you are strafing the stream and dodging the deuce. And litterally, as you wrap everything up and fasten the last of those irritating snaps he realizes he isn’t quite finished and rains on your handiwork. 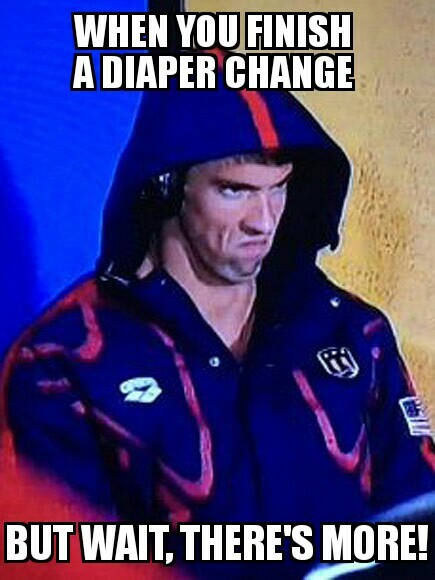 Seriously, Diaper changing feels like it should be an Olympic sport sometimes. What brand of diaper do you use? Do you feel like it matters? Let me know below! Afterthought: Sorry nurse Mary, but you should know better than to stand downstream.